In honest fact, there’s no way you can get free bitcoin, you have to work for bitcoin or buy bitcoin. You can get free bitcoin on reward sites called faucets. In this faucets you will be rewarded small amounts of bitcoin in Satoshi which are fractions of bitcoin, for solving captchas or playing games. 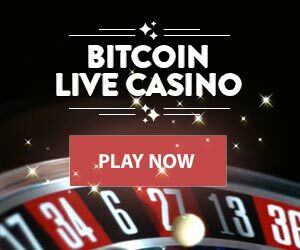 Unlike bitcoin casinos, you don’t need any bitcoin investment to get started in faucets, you can just play for free. Another way to earn free bitcoin is through affiliate marketing, you can promote other people’s products. But if you want to win bigger amounts of bitcoin you can stick to playing games in bitcoin casinos online. There are many faucets on the internet, some of them will reward you for solving a captcha after every 5 minutes. Some will reward you after an hour, the more you visit the faucet and solve the capture the more you increase your bitcon. You can do that until you reach the threshold, then the you can withdraw your bitcoins. I first start earning smaller amounts of bitcoin back in 2016, I still do when I get time. On this post bitcoinfella will give you some of the trusted faucets that still pay. You need to be patient if you want to get free bitcoin on the internet. Instead of wasting time scrolling up and down on social media you can just spend your time collecting free bitcoins. Those free bitcoins will grow to something valuable since the bitcoin price keeps going up. Where to get free bitcoin? Frebitco.in is the most trusted faucet to get free bitcoin since late 2013. With this faucet you can get from 0.00000020BTC every hour if you play hourly. You can earn more bitcoins by using the Multiply BTC feature. This faucet also puts you in their free weekly lottery if you play every week, this increase your chances of winning big. Moon bitcoin is also one of the oldest bitcoin faucets you can use to claim bitcoin in every 5 minutes. This is a slow faucet, you will be rewarded the more you claim. If you like me, you can claim once or twice a day in this faucet, you don’t have to claim every hour. But if you prefer keep every two or so hours if you have time. Another bitcoin faucet that is still paying, the amounts are very small but is good new bitcoin users to experience it. You can claim every 15 minutes on this faucet. You can with get paid via CoinPot on this faucet. You can register with your bitcoin address to be a member in this faucet, no registration is require.